hello. to those of you who have just found us. i hope you enjoy this journey that we are on. through the japanese crafting world. so. to get you started. and us, too. 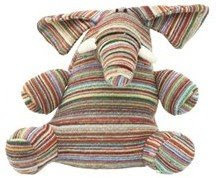 here is a little giveaway. enough for two lucky gals. one gal will get the tape and stamps. and the other gal will get the fabric. which are some of my recent favorites from over here. whoohoo. now. if you would like to have your name thrown into the hat. for the above items. just let us know what you would like to know about japan. or japanese crafts. that will help give us some inspiration for future posts. for you. and feel free to spread the word. the hat will stay open until tuesday night. japanese time. also. if you are looking at starting a collection of japanese fabric. books. stamps. or tape. or you would like to add to your stack. just wander over to my little shop of japanese goodness. and you will get a 10% discount off your order. (before shipping.) if you mention these words: japanese craft journal. whoohoo. the offer is only available while the hat is open. until tuesday night. When I got to Tokyo the first shopping outing was to follow Corrie's directions (which she had previously posted on her own blog) and head straight to Kinokuniya in Shinjuku. More than fabric or trims, it was the inspiring craft books I wanted to stock up on. It is an amazing store and I came away with a lovely collection (I only wish I'd had more time to explore the children's book section too). What I did find also, was that the craft books seemed to be available in smaller bookstores as well. 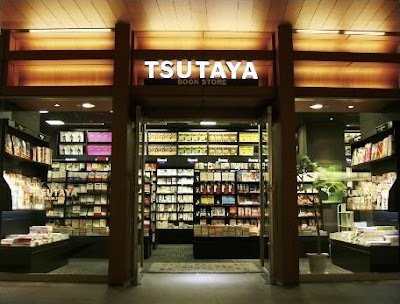 I fell across this store in the very smart shopping complex, Tokyo Midtown, on the way back to our hotel. I ended up buying as many craft books from this tiny store as I had from Kinokuniya. And then I purchased a few more from Okadaya - ones that I hadn't seen at Kinokuniya. Kinokuniya is the biggest and arguably the best, but you might just find in other stores a few books you haven't seen before or that have sold out elsewhere. i live in japan. and feel blessed. it is an amazing country. full of so much crafting goodness. though they study english in junior high and high school. it is sometimes difficult to find somebody that speaks english. so. it is always good to have a bit of japanese up your sleeve. for while you are over here. the vowels in japanese are pronounced the same as the vowels in the words JUDO and SPAGHETTI. the vowel combination AI sounds like eye. the combination EI sounds like the ay sound in the word may. you can sound out the other vowel combinations. sumimasen - excuse me or i'm sorry. this is a very useful phrase. wakarimasen - i don't understand. kore wa doko desu ka? where is this? ___ wa arimasu ka? do you have ___ ? ichi - one, ni - two, san - three, shi - four, go - five, roku - six, nana - seven, hachi - eight, kyu - nine, ju - ten. nana-ju cenchi kudasai. seventy centimetres please. ni meta kudasai. two metres please. ichi meta go-ju cenchi kudasai. one metre and fifty centimetres please. san ten go meta kudasai. 3.5 metres please. the metric system is used in japan. many fabric shops only take cash. my local fabric shops sell there fabric in 10 cm increments. but other shops may differ. if you would like to know how to say something else in japanese ... just let me know. Marceline from the blog, Asking For Trouble, emailed me with a link to her Tokyo Shopping Guide. Marceline must be one very organised shopper, because this appears to be one very fabulous shopping guide. Thanks Marceline, this is wonderful. I want to go to Loft now. Suzy (who was lucky enough to live in Ebisu for a time) left a comment in the last post leading to an entry on her blog about fabric shopping in Tokyo. Thanks Suzy for your tips, and for letting us know about your post. Suzy has also included links to some other posts. It's hard to escape designer labels in Japan. I was very keen to seek out the shopping districts that were distinctly Japanese, with little shops selling Zakka style wares rather than French or Italian handbags. Some good advice in the Tokyo Luxe guide was to make Concierge your best friend. Good advice indeed. The Japanese are so divinely helpful and will go out of their way to give you the information you need. After chatting to our hotel's concierge on several occasions, showing them pictures in craft books and explaining what I was seeking, they directed me to the area of Ebisu (and Daikanyama). 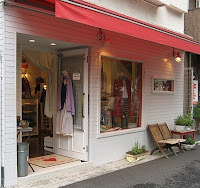 Ebisu is just two stops from Rappongi on the Hibiya Line and the cute shops start just near the station. Many of the shops had little seats or potted plants outside - it made them look so inviting. As well as little independent shops selling French inspired wares and clothing, there were some well known brands in this area - Cath Kidston and Caramel Baby & Child to name but two. There were also many cafes and restaurants that looked like good places to rest the feet and grab a quick bite. I only discovered this neighbourhood on my last afternoon in Tokyo. I got the sense there was a lot more there to discover but, alas, I ran out of time. If you go exploring there, let me know what you find. You can see more images of stores in this area at our flickr group, "Japan Craft Shops". I visited the Tokyo branch of Kinokuniya several times on my last visit to Tokyo because there are only so many bags of books you can carry on the train back to your hotel. They have the best collection of Japanese craft books in the city. Take the elevator to 2F for craft books and walk to the back wall. Be prepared to pull out all the books since the titles are almost always in Japanese and I have a trick of half pulling out several books at a time to check covers then push them back and move along the shelf....this is why you need time here. When you're done take the elevator to 3F for magazines like Cotton Time and Cotton Friend which are located in the back right corner of the store! You'll find Kinokuniya in Shinjuku and its open everyday 10am-8pm....perfect for some after dinner shopping. Take the South exit and walk towards Takashiyama, walk behind Tokyu Hands and its there straight ahead of you via the walkway.....and this is how they wrap your bags in the rain...practical and cute. Luckily for me, Corrie had only just been a couple of months before I left. So I was able to get some good advice before leaving. I thought I would pass on some of what I learnt when I was there. If you have anything to add, please leave it in the comments section for all of us to read. Most ATM's don't accept foreign issued cards. Even if they display the Visa or Mastercard logo. The only two I know of that do are Citibank and the post office. Think about taking a small Roley bag or trolley on your shopping excursions. All that fabric and books can get heavy! The train system can seem daunting at first. But once you work out which line you need to get on, it's quite easy! All the ticket machines are bilingual and onboard announcements are also made in English. I found this site such a time saver, just put in your destination and it will give you the line and fare. Another option with the fare is to buy the lowest fare of Y130 and just top up your ticket at your destination using the adjustments machines before exiting. If you get to a Yuzawaya store ask about their discount card. You will get a 10% discount across the store. It's free to join and the staff didn't seem to mind that we were using an international address on our application form. 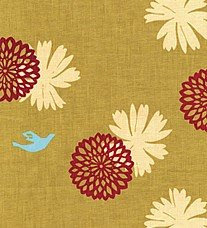 Fabric in Japan is sold by the metre. Which is approximately 4 inches longer than a yard. Looking for a hotel in tokyo? I would highly recommend the Kadoya hotel in Shinjuku. It's reasonably priced, central, clean and quiet. It also has free internet access in your room or you can use the PC in the reception area if haven't brought your own laptop. The post office is also directly across the road, perfect for grabbing some cash or sending home all that excess baggage! 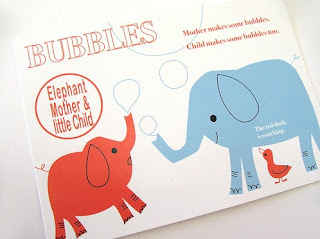 This is one of my favourite Japanese craft books. I haven't seen it mentioned on any other blogs so I'll post a few pictures here. 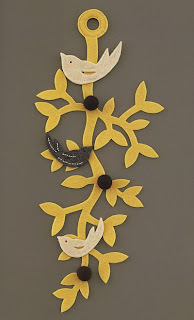 The book is all about working with felt to create appliques, flowers or garlands. I particularly love the skirts. There are several Japanese pattern books that have patterns for simple skirts like these. At the back of the book there are patterns and instructions for all the motifs, as well as patterns for the several bags featured. There are a few more pictures over here. 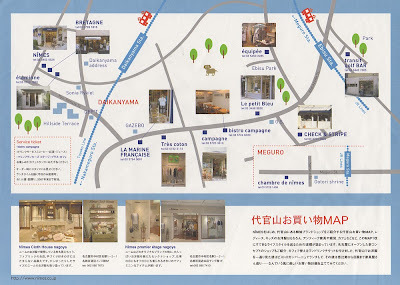 One of the most talked about fabric stores in Tokyo would have to be Tomato located in the Textile town of Nippori. If you have a couple of days in Tokyo I would definitely make this your first stop. The ground floor is stacked to the rafters with what looked like clearance fabric, priced Y100-300 a metre. There were a lot of prints that have long disappeared from the online stores. The motto here is....if you like it buy it! Chances are you won't see the print again or it will be double the price. The other thing is to come with plenty of time to spare. Most fabrics are on rolls and stacked 5-6 rolls high on the shelf. It's difficult to see straight off what there is, you have to search. Take your time, I often missed a real gem that was later pointed out to me by my sister who was trailing behind. On the upper levels you will find higher priced quilting and fashion fabrics also worth a look. The U.S. quilting fabric on the top level averaged Y880 a metre. The sister store next door stocks buttons, trims, felt, notions, stamps and knitting needles. Worth a browse..I found a few things here. Which I noticed were cheaper than when I saw them elsewhere. Take the Yamanote line from Shinjuku. It will take you about 20mins and the fare is Y190 one-way. Once you are out of the barriers turn right and head down the stairs. Just follow the signs to textile town. edit - I just came across this post by Tokyo mummy which has some great photos taken inside of Tomato and some shopfronts of other Stores in Nippori. Now you can see what I mean about all those rolls!! These stores are all over Japan, and are popping up in other countries too. If you haven't visited a Muji store, put it on your list. I don't think you'll be disappointed. 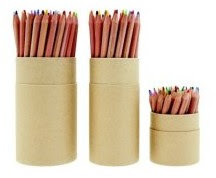 Muji has very affordable and very pared back design. Their items are beautifully simple. I bought a clean-lined shirt in their Paris store at a very low price. It's one of my favourites and I wear it all the time. As well as many items to satisfy the craft-lovers, there are also lovely things for the home, to wear, to give. The stationery range is particularly lovely - very understated. And if you just can't wait 'til you travel to Japan, you can visit them online and peruse the catalogue. They only ship to certain countries though. 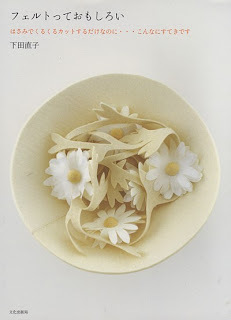 A Japanese Craft blog would not be complete without mentioning renowned zakka designer - Shinzi Katoh. When in Tokyo I wanted to see what all the talk was about so I took a train to Ikebukuro to visit a small Shinzi Katoh store. 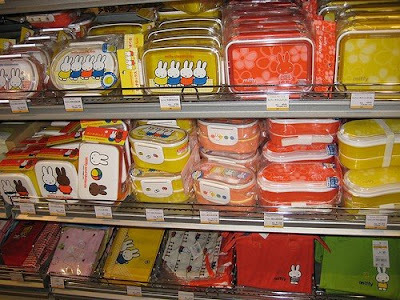 The store is located within the Sunshine City shopping centre which is about a 10 minute walk from Ikebukuro station. Sunshine City is well sign posted and I found it easily. There is also a very large Tokyu Hands store there. I first read about the Shinzi Katoh store at the flickr set of Jennifer from Moving Hands. 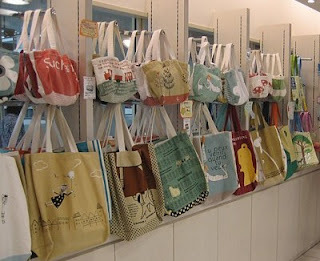 Jennifer's photo set on "crafty shopping in Japan" has some great shops worth visiting. I only wish I'd made it to more of her recommendations. There is also a Shinzi Katoh flickr group if you want to see more from the range. When I was planning a trip to Japan in 2007 I collected information madly. The craft blogs, more than any other source, had the information I was most interested in. I bookmarked blogs and travelled to Tokyo with a printout of many different blog posts that I stuffed into my bag and pulled out on the train or on Tokyo street corners. Half the time I couldn't remember where I'd read some great travel advice. So this blog has been created out of a desire to have a central place that captures all that great information. There are four contributors who have travelled to or live in Japan. 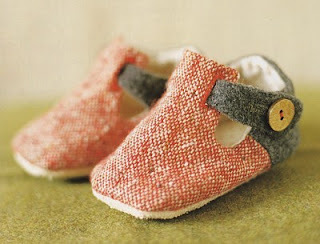 We all love our Japanese craft and hope to bring you helpful information that will feed your love of it too. We'd love your feedback and suggestions so feel free to comment or email us. Enjoy!